It’s been a while since I talked about dating after divorce so I think it’s time to check back in on the subject. While I have written about this topic before, it’s interesting even to me to see how my feelings and viewpoints can change as my son gets older and my experiences pile up. 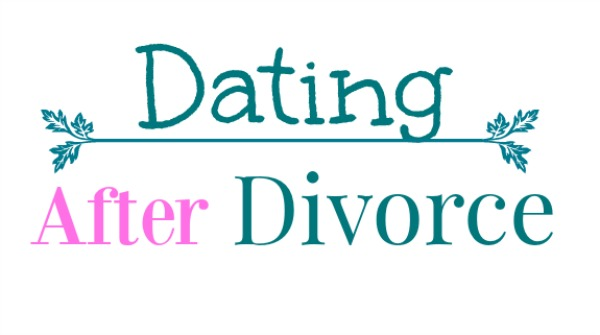 I went into dating after my divorce (over 6 years ago), looking for my next husband. Of course I wanted to be remarried and moving on with my life! However, over the years which have seen a few serious relationships combined with lots of dating (so many funny stories here! ), my son and I have become our own family unit. While I have always been independent, I got married young and assumed that getting remarried as fast as possible was the way to go BUT I have to come realize that I truly love our little family dynamic. I have started to really question if a serious relationship leading to marriage is something I want right now or if it’s something to think about later on, when my son is more grown up, in college and not needing me as much as he does now. While my son’s social life is very active and his schedule is packed with plans and Bar Mitzvah parties every single weekend, I feel like he needs me in some ways more than he did as a toddler. Being in middle school and on the brink of teenage years, especially in today’s world, is a really challenging time. He may not know it but I know it which means I am super focused on his whereabouts, what he is thinking and feeling while still trying to be a cool parent and respect his privacy. Gone are the days where I rotated weekends with my ex-husband like clockwork. It’s nearly impossible to stick to a strict schedule anymore. When the kids are little, it’s easy to shuffle them back and forth according to a divorce agreement schedule but as they get older, their lives are not so portable. My son has his own agenda now with plans, parties and commitments which change by the week. When my son was younger, I could schedule my adult time out based upon his time with his dad. I even had a weeknight or two free as well and while sure, I still get out for dinner with the girls or whoever, those nights are now fewer and further between. Saying that my life as a mom is all-consuming and the toughest job in the world is totally valid and true, yet it’s also an excuse. I know very well that when the right person comes into my life, I will make the time and room for the relationship around all of this parenting stuff (and even around my running stuff) because I will want to make it work. But I really haven’t found that person yet and I really don’t know that I am even looking at the moment. I know I told you about someone I was dating pretty seriously but slowly I started to realize deep down, like in those moments when you wake up in the middle of the night and need to be honest with yourself, that it just wasn’t it. Details and reasons why are not important, not because I don’t want to share them but because, even to me, as I started thinking about my reasons, I realized that the thought process itself really wasn’t important. What was important was how I felt, what my inner voice was telling me. When that feeling inside arrives when you just know that the person you are dating isn’t the right fit for you, why waste your time or the time of the other person? You must trust your gut intuition rather than deny your feelings…and let the relationship go. Look at me with the balanced dating attitude. I sound like a guy! But it’s true. If you have that feeling that says, hmm, I don’t think this is IT, then most likely, it isn’t! Listen to yourself the first time you have this revelation, even if you never expected to feel this way. Even if you aren’t divorced, even if you are looking for a serious life long relationship, don’t settle. Don’t ignore your intuition and don’t stick around because you don’t want to be alone. I don’t know everything but I do know that staying with someone who isn’t it (even if you want them to be it) will make you feel more alone than actually being single. The sooner you realize how to go after what you do want and walk away from what doesn’t work for you, the sooner everything will fall into place. Are you good at listening to your inner voice even if it tells you something you don’t want to hear? Anyone else dating as a divorced mom? What’s on the workout agenda today? I think one of the benefits of dating a little later in life is that you have all this knowledge about yourself and life experience behind you to guide you and you are better able to trust your gut. I think as we are teenagers and in our early 20s its more difficult to really “know” as easily because we are still figuring out ourselves at that time. I think that’s part of the reason why Rob and I took things SO slowly, even though we met at age 21 we didn’t’ get married until 29. Not to say that some people don’t have that instinct, I just know that I didn’t and I have definitely become more confident with who I am and what is best for me as I have gotten older. I think you have an awesome approach to this and when things are ready to work out they will! For sure I know so much more now than when I first got married! Life experiences will do that to you. I do think we got married at the right time for us but we definitely didn’t know a thing about real life and real life problems. Nor did I know myself as well as I do now. You were smart to take things slowly. I totally get the inner voice and it’s always right. I don’t think you can actually look for the right person, at least I’m not sure you can find them when you’re actively looking. I met Adam when I seriously did not need to meet him, yet, it WAS right and I worked for it. definitely know that when you meet the right person you will put the effort in and make the time! Otherwise, it clearly isn’t worth it because moms really are busy and fulfilled in other ways as well. Michele @ paleorunningmomma recently posted…D’Artagnan Meats Review & Huge Giveaway Opportunity! For sure we are busy but you are right, the right one comes when we aren’t looking. I was a single mom for 5 years with my son and, like you, I really grew to love the family dynamic we had. It’s such a special time in my memories. I still miss it now and then! I’m glad I didn’t settle and waited for the right person. Now happily married with 6 month old twins, I wouldn’t trade the journey to get here! Yes, when the right one comes along, you will feel slightly differently. Promise. Thank you. It’s a shame in some ways but I couldn’t ignore my feelings. I have learned to really listen to that voice! As someone in their mid-20s who has friends starting to get married (and 2 to have little babies this year!) and who wants to meet the right person, I think this sense of “all in good time” and “when it happens” is what I need to hear! It’s interesting to know this feeling can continue later in life when we have had different experiences behind us and are at different stages. Props to you for listening to your inner voice! I was one of the first (if not the first, hard to remember exactly lol) to be married and have a baby. But really, all in good time for sure as everyone slowly followed me! It will happen, when it is right. I haven’t been married, so I can’t really say that I can weigh in on the subject. I have know idea what it feels like to find the right someone, so I’m just trusting God and waiting on His timing, if He wants me to get married. The workout agenda? I’m going to do a couple running miles, weights, and abs! Yep, everything will just work out the way it is supposed to at the right time. I believe that. I believe that inner voice and gut feeling are so important in all types of relationships, especially marriage. Ryan and I started dating within a week of meeting, but then we dated for nearly four years before marriage to ensure that it was right. Dating when you’re young and in all the changes of college and early career can be tricky, and not settling is so important. You truly handle your divorce and dating with such inner strength and dignity! And I love hearing about the family unit you and your son have. He is so lucky to have a mom like you! Aww thanks! Yeah, dating earlier on in our 20’s is tricky but sometimes we don’t realize how tricky until after the fact! Glad you were smart to take your time. I completely agree with you! It’s always wise to follow your gut, and never force yourself to continue seeing someone that you know isn’t a right fit. lol you tell them! Everyone has their own timeline. I did get married young and it was definitely right at the time for sure but now, I am really taking my time! I’m not divorced, but my parents divorced when I was 10 and I’ve seen my dad go through this over the years. He dated a bunch of different people, some we met and a lot we didn’t, but I remember him telling me more than once that if the relationship wasn’t right, he wouldn’t waste his time. We lived with him full time and spent weekends with my mom most of the time, and I still don’t know how he balanced it all (he works weekends, so he would have had to date right after work, I guess) He’s now with a woman for about 10 years, but they’re not married or anything, since she has 3 kids, 1 who is still in high school. Interesting to see your perspective as the child. And even more interesting to see you now wonder when he did have time to date. My son will one day reflect back as well. Yep, Needed this today. Ughhhhhh life is so confusing but our first instincts are generally the right one, even if it isn’t the easy answer. Exactly, the first time you hear the voice, you need to listen. Otherwise, you listen months or years later and then say, I should’ve listened the first time. That is awesome that your son and you have such a good relationship! And listening to your inner voice and intuition is sooooo important in life! Lol I never even thought of that when I wrote the title! So on point. Never married but I have always had a refuse to settle mentality. After some messy stuff in my 20’s as I approached 30’s I put dating on the back burner to focus on my health, career and finances (lol to that living in NYC still though). As 35 is coming at me next year I can honestly say I have never been happier. Haven’t found the one but I am so okay with that. I firmly believe you need to know how to be alone before you can be in a relationship and I know when the person for me comes I will be ready to let them in. But for now just enjoying life. lol yes to the financial aspect of living in the city. And new York in general. It’s totally insane! I love what a balanced approach you have to dating! I took a lot of flack from friends and family for being “too picky” about the people I date. But, it was absolutely worth it in the end! I wouldn’t have ended up with the caliber of partner I have if I hadn’t set those standards and ended things when they weren’t right. You have to do what’s right for you. I always know when something is “right” so when it’s not, it stands out to me. Great post and you’re so honest. Your last sentence in particular is the absolute truth, for me anyway. I was in a serious relationship but towards the end I started to realise that I wanted different things & my gut was telling me I wouldn’t be happy if I stayed in the long run. I’ve never felt more alone in my life as I did in the last couple of months of that relationship. I think settling for someone because you fear not finding someone else in the future will make both of you sad in the long run & a bit like you, I’ve found a happiness with just being me. If someone comes into my life, great, but I think there are other ways to live and be happy in life & it’s so lovely to hear that you’ve found a happy place with your son. I’m glad you were able to realize your feelings and know when it wasn’t the right thing for you! Better to now than when married and have to make the decision for divorce. I’ll be honest, I’m completely crazy about the Hubby and have been for years and years now, so I can’t imagine what it must be like to be divorced or attempt dating again in the midst of parenting. I do know we work well together while also having our own freedoms which I think it healthy in any relationship. I know what you mean, I never imagined I would even be in this position! I was never getting divorced but it happened and I am ok and stronger because of it. It’s not easy though!